Learning the traditional Scottish Speycast is one of the easiest and most satisfying casts of all to perform. 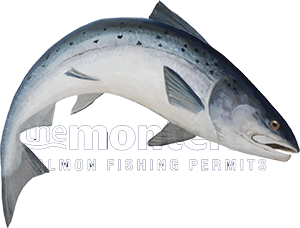 The important thing in mastering this cast quickly is that you're under the instruction of a professional salmon fishing guide who has a great understanding of the cast and who has excellent communication skills. Personally I can explain in absolute relevance the technical components of this cast in its entirety in under 10 seconds. You'll maybe doubt what I'm saying here but this is hard factual information that will make total sense and endorse the simplicity and ease your understanding of exactly what makes this cast work. The four rod positions pertaining to the hour hand position on a clock face for either of the single Spey casts is one third of understanding the simplicity of the Spey cast. The second crucial component which permits energy build up from the starting lift to the formation of the D Loop loading is 'smoothness & fluency' which makes these two words the second part of the jigsaw. The third and final component of this 'art form' Scottish salmon fly presentation technique is simply studying the physical shape of the pre-power delivery stroke 'anchor point' where the belly of the fly line very briefly kisses the surface of the river prior to the forward and final power stroke. This is crucial to nail the correct timing off the water and I'll elaborate on that in the next paragraph. Most salmon fishers who perform this cast look like 'racehorses with blinkers on' as they only ever study the deliver target area and can easily 'fluff' their timing off the water by not watching whether they apply the power stroke a millisecond too soon or late. Watching the anchor point release with your peripheral vision gives you exact timing off the water which maximises the power and concentrates that power 100% to the forward delivery. If you understand the importance of a 'low starting point & high finishing point' smooth line lift with a smooth sweeping outward swing with you observing the anchor point to execute perfect timing off the water then you'll grasp and fine tune the Spey cast in its entirety in under 30 minutes. Any longer than that means you're with the wrong instructor.